Mini muffins are fabulous and miniature blueberry muffins are some of the best. They're also easy to make from scratch and irresistible in bite-size form. These little muffins are great for picnics, snacking, and for little hands. They are an ideal breakfast option that can take some pressure away from busy moms and dads trying to get everyone fed before school. It takes just a few minutes to mix up and less than 30 minutes to bake. Grease a 24-cup mini muffin tin. In a medium bowl, sift together the flour, baking powder, salt, and sugar. Mix in the softened butter. In a separate, smaller bowl, lightly beat the egg. Pour milk into the egg bowl and stir. Stir the wet mix into the dry mix until the flour mixture is just wet. Spoon the batter into muffin cups, filling each cup 2/3 full. Bake for 25 minutes or until the muffins are golden brown and feel spongy. 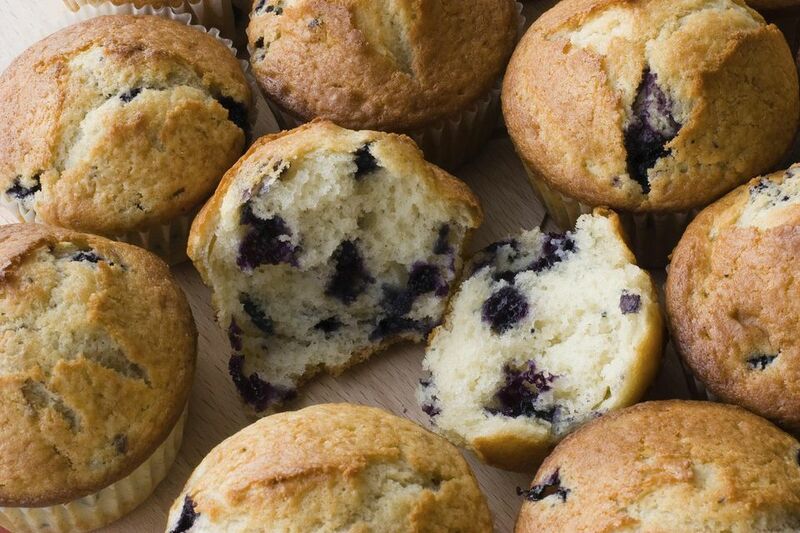 Remove muffins from the tin with a spoon and let cool. Serve warm or cold with butter. Quick Tip: One trick to baking the best muffins is to have the oven hot and ready so you can pop them in as soon as you finish mixing the batter. Once the wet and dry ingredients come together, the baking powder starts working and you're on the clock. This is one step that you want to work as fast as possible.